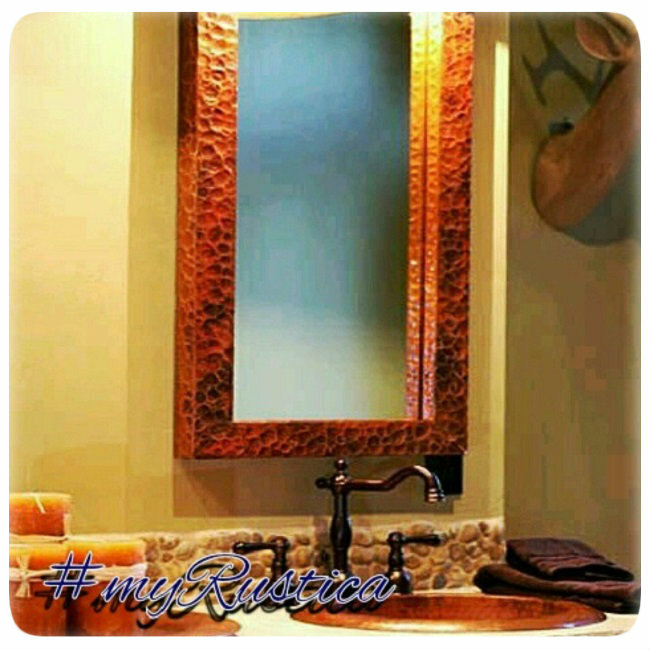 Click the button below to add the Copper Mirror "B004" to your wish list. Extraordinary oxidized color copper mirror frame for a bathroom, foyer, bedroom and living room. Copper when exposed for a longer time to elements turns green and that what happened to the mirror offered throughout this listing. This rectangular frame model B004 is rustic available in a size of choice and it includes a glass mirror. Delivery expected in four weeks from the payment date.